Tatjana Patitz was born in Hamburg and raised in Sweden. She began working as a model in Paris in the mid 1980s at the age of 17. She regularly worked with the great photographer such as Herb Ritts, Peter Lindbergh and Bruce Weber along with other supermodels like Naomi Campbell, Christy Turlington, Linda Evangelista, Cindy Crawford and Claudia Schiffer. Her greatest Campaign: Gianni Versace, Gianfranco Ferre, Shiseido and Byzance Parums by ROCHAS and many many more.She did it all ! 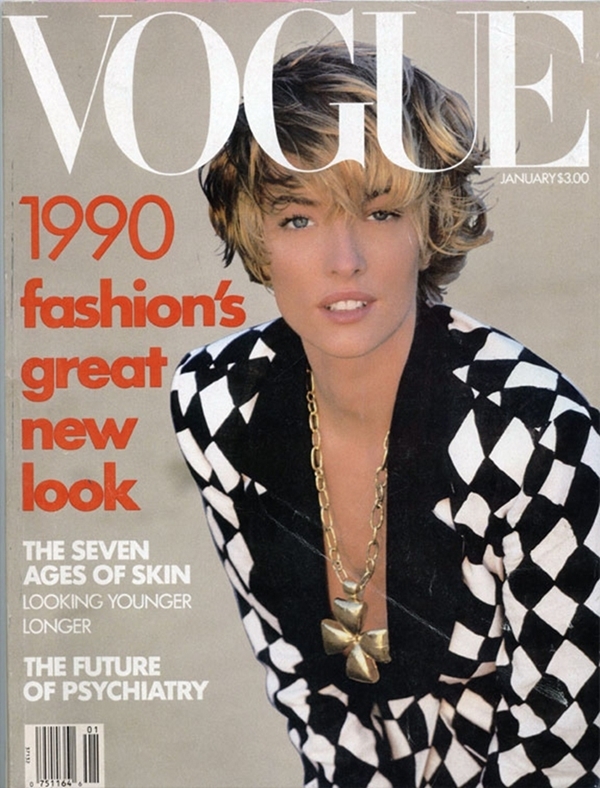 In 1985, she graced the cover of British VOGUE for the first time. She remained in demand throughout the 2000s, periodically returning to the runway for select designers, such as Jean-Paul Gaultier and CHANEL. Tatjana Patitz has appeared on over 200 magazine covers worldwide, including seven covers of American Vogue and eleven covers of BritishVogue. French, Italian, German, Spanish, and Australian editions have also featured her on their covers. Notable covers include the January 1990 British Vogue cover, photographed by Peter Lindbergh, and the April 1992 100th anniversary issue of American Vogue, both of which feature Patitz posing with the other "SUPERMODEL" of the era. Patitz has appeared in international television commercials for Shiseido, LÓreal,Revlon and many more. Corsa, Dupont carpets, Dockers and Ralph Lauren. She was also featured in George Michael´s "Freedom 90" music video, along with Cindy Crawford, Christy Turlington and Linda Evangelist plus Naomi Campbell. In 1989, Patitz went to live on a ranch in Malibu, California where in 2009 she was reported to have four horses, four dogs and two cats, commenting "I needed nature around me". She has a son, Jonah, who was born in 2004, and is separated from his father, a marketing executive. She previously had a long-term relationship with singer Seal. Patitz's younger sister, Sophie, has also worked as a fashion model for Victoria Secret and LÓreal. She appeared on that famous January British VOGUE Cover which guaranteed her a part in the George Michael Freedom 90 music Video. I´ve never seen her for real but as a teenager once I tryed to write her a fan letter to Malibu but I guess the adress in that fashion magazine was not the right one. She is an supermodel Icon still in my eyes and diserves the best. All best for Tatjana Patiz.